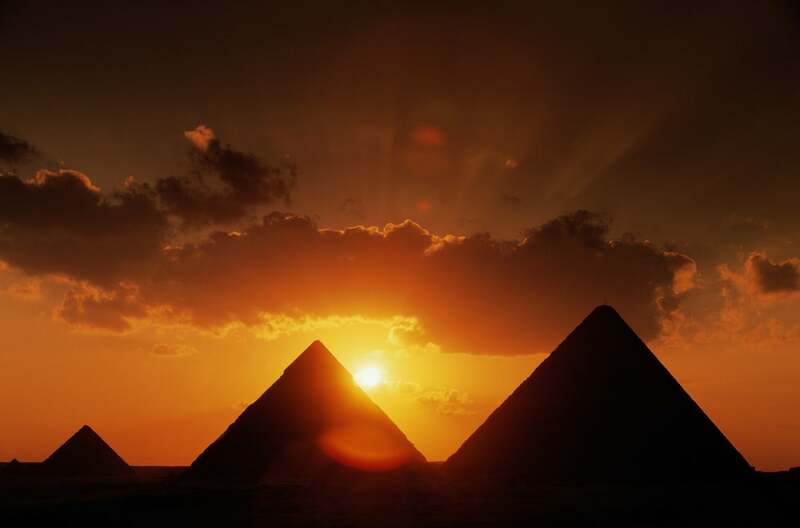 Sunset at the Pyramids of Giza. Tomb of Seti I in the Valley of the Kings. Camels at the Great Pyramids of Giza. Temple of Nefertari and Hathor at Abu Simbel. Statue of Amenhoteb III and the great crocodile god Sobek at Luxor Museum. Men smoking sheesha pipes in cafe. Two boys jumping off a felucca into Nile River. Portrait of a man at a desert cafe.